Have you ever wondered what it would be like to work or live in a place where everyone is the same? I have many times and no matter the scenario it does not seem very appealing. Diversity has been a sensitive subject through history in not only our country but in the entire world. The unfamiliarity of a different language, color, race, sexual orientation and even less suggestive differences such as age, personality, education and background could make or break from the smallest office to the most prominent empire. I have had the marvelous opportunity to recruit for both Colombia and the USA and I have to admit that the USA is light years ahead when it comes to respecting and encouraging diversity. Imagine putting an ad on the paper where you are allowed to specify gender, age, or even stature? How would you feel? I remember when I was searching for a job as a teacher and most companies would only want women for the position and would not even consider my skills or my background. That feeling is something I would not wish upon anyone and now that I recruit here in the United States, I make sure that no one does. The USA has to keep leading by example, doing this we will make sure that with time and patience other countries understand the value of having a diverse workforce. The world is a lot smaller than it used to be. Computers, smart phones, drones, etc., are part of what we are calling now “the age of technology” and this makes it a lot easier and faster to get new customers and new employees from all over the world. Even if you have a small local business, the chances are the demographics around you are changing and adaptation is vital to allowing your company to flourish. 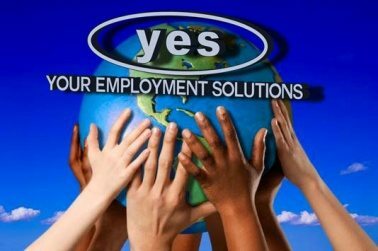 Take our wonderful company (Your Employment Solutions) into consideration. We are a local company in what I would say not the most diverse state in the country. Are we still required to adapt to this rapidly diversifying world? The answer is ABSOLUTELY YES. It's part of what gives us a competitive edge among all the other staffing agencies in the state. Picture yourself a new immigrant in a new country where you don’t know anyone, anything and you don’t even speak the language. You have to start working to provide for yourself and your family. What do you do when you try to find work and someone tells you, “You live in America, learn the language.” Pretty discouraging don’t you think? This is where having a diverse and friendly staff comes into play for us. We can not only speak to most of them in their native language but we can find them work while they learn and adapt to their new surroundings. That to me is a one of a kind experience that I know people will cherish forever. Santiago is the branch manager at the Your Employment Solutions West Valley City, Utah office. He helps Utah jobseekers find employment.